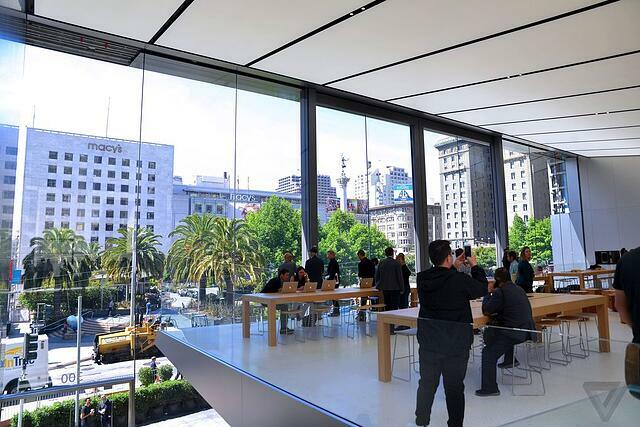 In downtown San Francisco, situated across the street from the city's iconic Union Square Park, Apple's newest vision for retail is close to being realized. The new store, which opens this Saturday, includes 42-foot sliding glass doors that double as two-story windows, a 6K video screen on the second floor, and living trees lining its new customer support section. It also sports a backyard "forum" that will be open 24 hours a day, featuring a 50-foot green wall, free Wi-Fi, and 47-year-old restored fountain from San Francisco sculptor Ruth Asawa. The numerous figures are meant to impress. 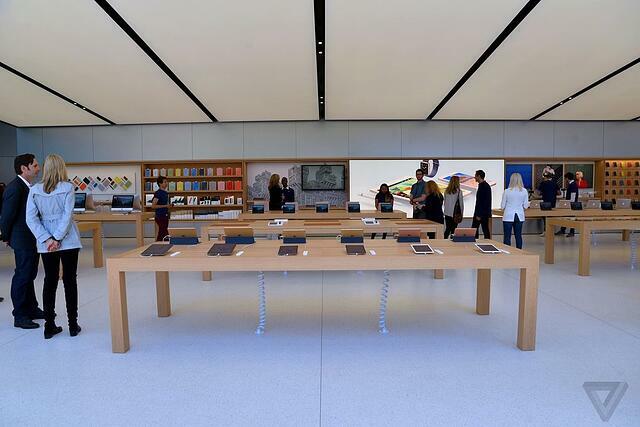 They illustrate both the scale of the store and the absurd lengths Apple is willing to go to design real-world retail destinations that inspire awe. Apple's senior VP of retail Angela Ahrendts says the new outlet sets the standard for the future of Apple commerce. The company wants its stores to be integrated into the community, as a kind of town square for anyone and everyone. "The over-arching vision of the future of Apple retail ... is what do we want Apple's role in the community to be," Ahrendts says. "The store becomes one with the community." "We think of this as our largest product," Ahrendts says. This is an excerpt from an article posted on theverge.com. For complete article, click here.